Everyone knows that pictures can say it better than words. Similarly, videos can convey messages better than pictures. 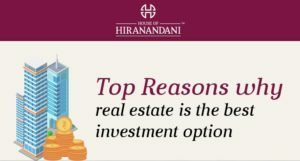 We, at the House of Hiranandani, believe in this concept. Our Realtyism Video Concept is proving to be an excellent way of explaining the intricate details of real estate to our customers. In this blog we highlight the following aspects of real estate. Construction process of a building. Documents to check before buying an apartment. Home buying tips that help you plan your purchase right. A strong foundation is necessary for any construction to withstand the load. Therefore, we place great emphasis on having a strong base for our buildings. Building a strong foundation necessitates clearing the debris and levelling the land. We excavate the land up to the necessary level, before starting the piling work. It is a crucial aspect because the pile foundation should be strong enough to bear the load of the building. On completion of the pile foundation, we proceed with the formation of vertical columns. Horizontal beams connect these columns, to enable the placing of slabs on top of the structure. The construction of the apartment walls is the next step. Similarly, we carry out the process for each of the floors until the construction is complete. The next stage involves the laying of tiles, fixing of doors and windows, installing bathroom and sanitary fittings, electrical installations, and finally the painting of the interiors and the external façade. Once the construction of the structure is over, we proceed with the development of the exterior amenities like gardens, pavements, and other structures. A municipal officer has to inspect the building and certify that the construction is consistent with the approved plans and that the apartments are fit to occupy. On obtaining this certificate, we move on to hand over the apartments to the individual buyers. Are you buying a ready to move in house or house under construction? Either way, you should know the documents to check before buying an apartment. This video, will highlight these critical aspects that can help you take the most significant decision of your life. You should take the assistance of a legal expert experienced in handling property matters, to guide you. The first activity is to check the title deed of the property and ascertain its genuineness. The guidance will help you by perusing the municipal records to determine the authenticity of the title. A study of the document will reveal whether there is a single owner or the property is under joint ownership. Under such circumstances, the rights of the legal heirs can affect the title of the property. You can also ascertain whether there are any encumbrances on the property like mortgage, attachment, and so on. The search will also reveal whether the land is registered in the name of the present owner. The certificate of commencement of construction (CC) is the next document to check out. The municipal authorities provide this certificate after approving the plan of the building. If you propose to purchase a house in a multi-storeyed apartment in residential projects in Bangalore or Chennai, you should check the CC of the floor on which you intend to buy your flat. The building layout and the proposed plan of construction submitted by the developer should be consistent. There should not be any violation, of any part, of the plan. You can verify the plan from the local municipal authorities to confirm its genuineness. Check whether the Certificate of Completion is available with the developer in case you opt for purchase a ready to occupy flat. The municipal authorities issue the completion certificate for every construction, after verifying that the construction is as per the approved plan. It includes adherence to all stipulated conditions such as maintenance of requisite distance from the main road, the completion of interior amenities, and so on. The Occupancy Certificate (OC) comes next in this list. The local authorities issue this OC to the builder after ensuring that the building is fit for occupation. They check out the safety norms and provision of other facilities like lifts, electrical connections, and water and drainage arrangements. It guarantees you peace of mind, as it ensures the availability of essential utilities. The OC is relevant only in the case of new buildings. We have seen the documents that you need to check before investing your hard earned money in the apartment of your choice. The verification of these documents ensures the credibility of the seller. Once you arrive at the budget, you have to finalise the property. The property depends on your lifestyle. Most of the residential projects by reputed developers come with additional amenities like an amphitheatre, elevated jogging park, and so on. You need these facilities to ensure a luxurious lifestyle. However, you incur a recurring cost for their maintenance. Being aware of these costs is essential. Make sure that the project shortlisted is approved by a reputed bank. It ensures that the title documents are clear. Getting a loan on a bank-approved project is easy. It also ensures that all the approvals are in order. The first thing that you have to do is to decide your budget. Unless you know your budget, you will not be able to proceed further. The agreement value is only one aspect of your budgeted cost. You have to incur other mandatory costs such as stamp duty, registration, GST, legal charges, and so on. Brokerage charges also apply, if you use the services of brokers to search for apartments. These costs enhance your agreement value by a substantial amount. Also, you have to pay ad-hoc charges for maintenance of amenities. The location of the property is the next aspect. Consider the neighbourhood before buying your house. Check out whether there are any upcoming infrastructure developments such as Metro rail project or highways and so on. It can help to appreciate the value of your house in the future. Check whether there are proper means of public transport nearby. Look out for schools, restaurants, malls, and hospitals in the vicinity. Finally, your house should not be very far from your place of your work. 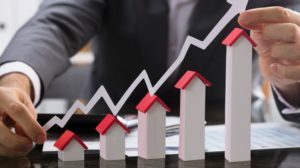 These tips can help you make one of the most critical decisions in your life, buying your dream house, easier than before. House of Hiranandani commits to improving the lifestyle of its patrons. 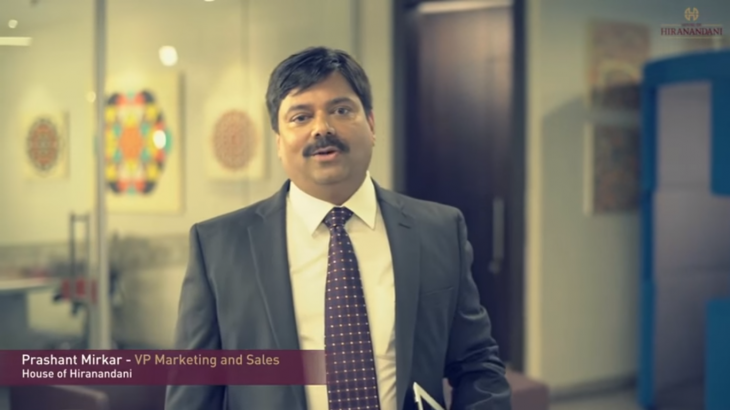 Through our series of Realtyism videos, we propose to increase customer awareness. It is in your benefit alone to be aware of your rights and responsibilities. It ensures that you enjoy a great lifestyle.